Over the years, there have been several AKG headphones I quite like, but only a couple that I< loved, one of which I've now loved for years--the vintage, charming, spectacularly complex AKG K 340 (the hybrid dynamic / electrostatic headphone, not the later-model AKG earbud of the name). The other was the AKG K1000, which was more like a pair of speakers suspended over your ears. Of course, both the K340 and the K1000 have been discontinued for years. In 2014, however, AKG love finally struck me again, when the Harman-owned Austrian outfit released their new flagship, the AKG K812. 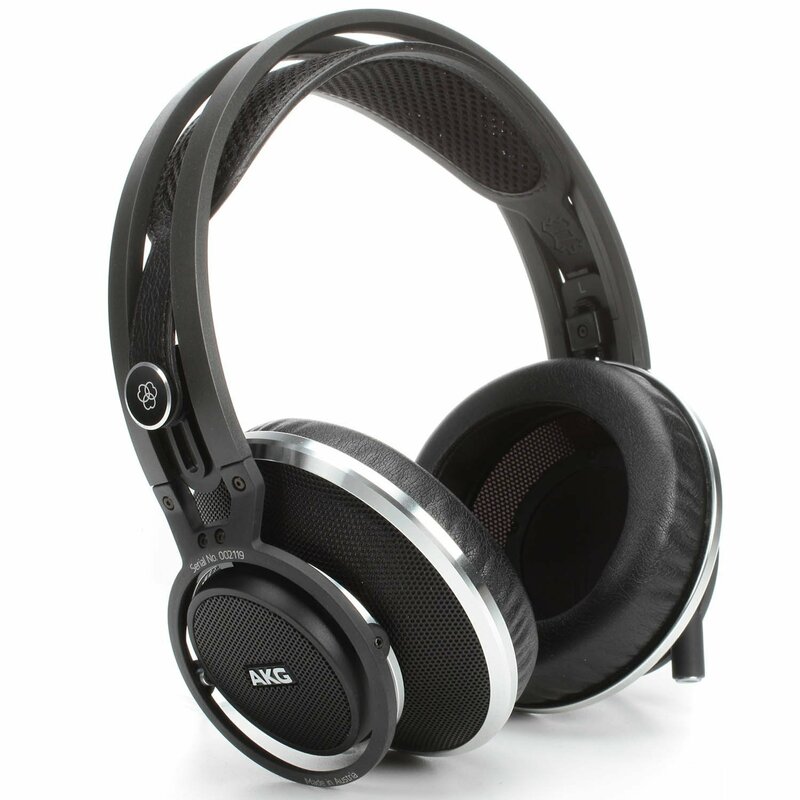 The K812 is an open-back, dynamic headphone. Its driver's 53mm transducer is the largest ever made by AKG, with an ultra-lightweight copper-covered aluminum voice coil, and 1.5 Tesla magnet system (similar in magnetic as Fostex's TH900). 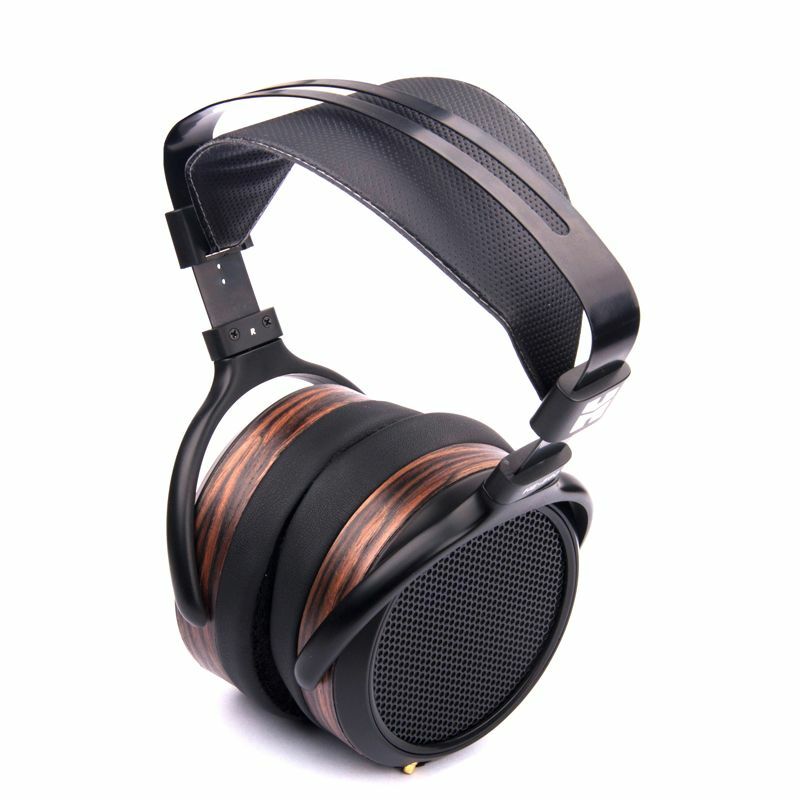 It is a very sensitive headphone, rated for 110dB SPL/V, with a nominal impedance of only 36Ω. The K812 comes with a gorgeous Sieveking Omega headphone stand (I'm pretty sure it's the real thing, not an imitator). It does not come with a carrying case, however, so I picked up a SLAPPA HardBody PRO headphone case which fits the K812 (and its cable) very well. In terms of design, the K812 is, from what I can tell, AKG's answer to Sennheiser's flagship HD 800, in that it's large, and super- open. Though their designs are definitely not identical, it seems to me that there is no mistaking the similarities of the in the style and type of earpad/ear chamber configuration, most noticeable when you compare the insides of the two headphones' earcups. Veteran Head-Fi'ers who look at the inside of the K812 cups will also probably be reminded by the Sony Qualia 010. 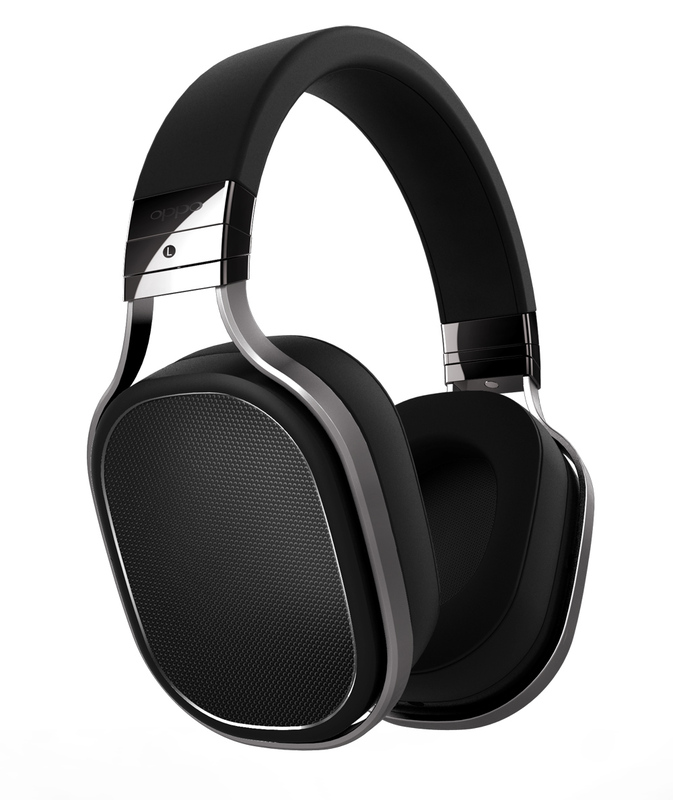 Aesthetically, I think the K812 is the better looking headphone than the stock silver HD 800. I think the K 812 is actually one of the most professional, attractive looking full-size headphones currently made--understated, modern, industrial, belongs-in-a-studio looks. The K812's sound is incisive, revealing, and can be ruthless in a way not entirely unlike Sennheiser's HD 800. However, the K812--airy and wide though it is--is more immediate than the Sennheiser, bringing sonic images a bit closer to the listener. The HD800's soundstage is even bigger, more spacious; and I'd have to give the HD 800 the edge in imaging, as I find sonic image placement within the HD 800's soundstage more coherent, more precise. Still, though, the K812 is outstanding in this regard. The K812 has stronger bass presence than the Sennheiser HD 800, which, as evidenced by the K812 fans on Head-Fi, its owners seem to like--I certainly do. Don't misunderstand me, though, we're not talking basshead levels. The K 812's bass is punchy, it's strong, it's fast, it's well-defined. The K812's midrange and treble detail are, to my ears, excellent. And while I feel the HD 800 trumps the K812 in this range--sounding more refined, more detailed, a little less edgy--the HD800 has to be at its best (or at least near its best) to seize the advantage from the big AKG. As for complaints about the K812, there are very few from me. First of all (and this is very much a personal preference thing), I prefer dual cable entry designs for my Summit-Fi headphones. I like knowing that I can replace the entire cable easily, and not think about the conduit going through the headband. Also, the single-side plug/jack on the AKG K812 is a three-pin connector. Arrggghhhh. Some of my music players and amps are at their best in balanced-output mode, and getting the K812 configured for use with balanced outputs will certainly require some modification. 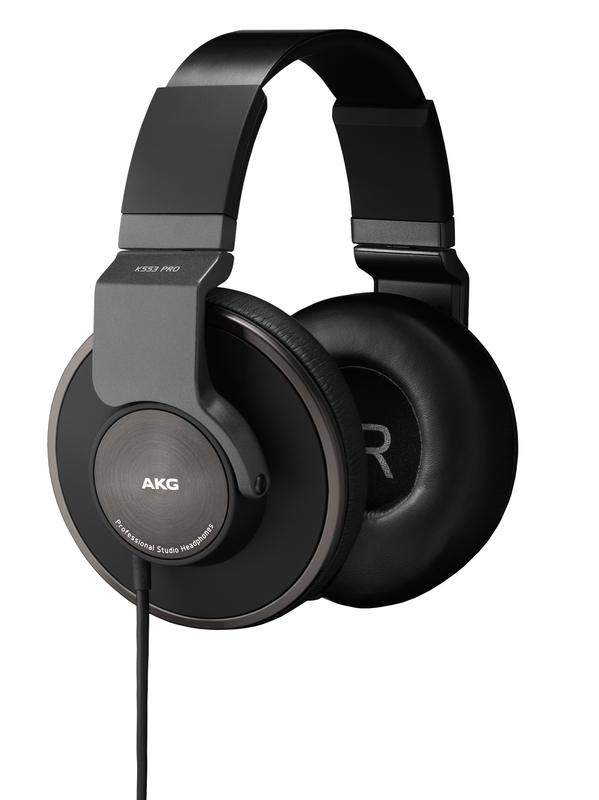 Overall, though, what a fantastic flagship headphone AKG has with the K812! It's a bold statement from AKG, and a return to their Summit-Fi flagship form that, in my opinion, they haven't had since the discontinuation of the legendary K1000. In 2013, HiFiMAN's Dr. Fang Bian gave me some idea that they were looking to shake up the market with their next generation of planar magnetic headphones. At CES 2014, they tipped their hand for all of us to see and hear, showing some prototypes of their upcoming headphones. One of those was the HiFiMAN HE-560 prototype, and it sounded very promising then. However, even having heard it in a couple of pre-production forms didn't fully prepare my expectations for just how good the final production version of the HE-560 would end up being. 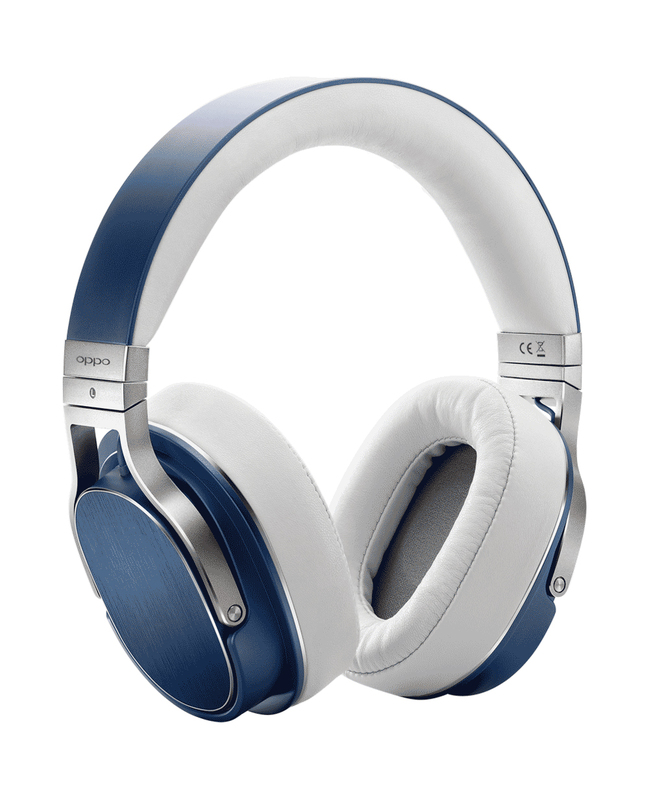 First of all, the HE-560 is one of the most comfortable planar magnetic headphones on the market. It weighs only 375 grams (13.2 ounces), making it the lightest of the planars in this Summit-Fi section by a fairly wide margin. Also, HiFiMAN completely re-did their headband design, the HE-560 sporting an adjustable--and wide--comfort strap headband that distributes the HE-560's light weight very nicely. I'd describe the HE-560's clamping force on my head as medium-heavy, but the full-size, soft, around-the-ear pads help to offset the pressure, and I can wear the HE-560 for hours. Like the Abyss AB-1266 (and unlike most of the other top planars), the HiFiMAN HE-560's drivers are single-ended--that is, each driver has a magnet array on only one side of it (instead of both sides). 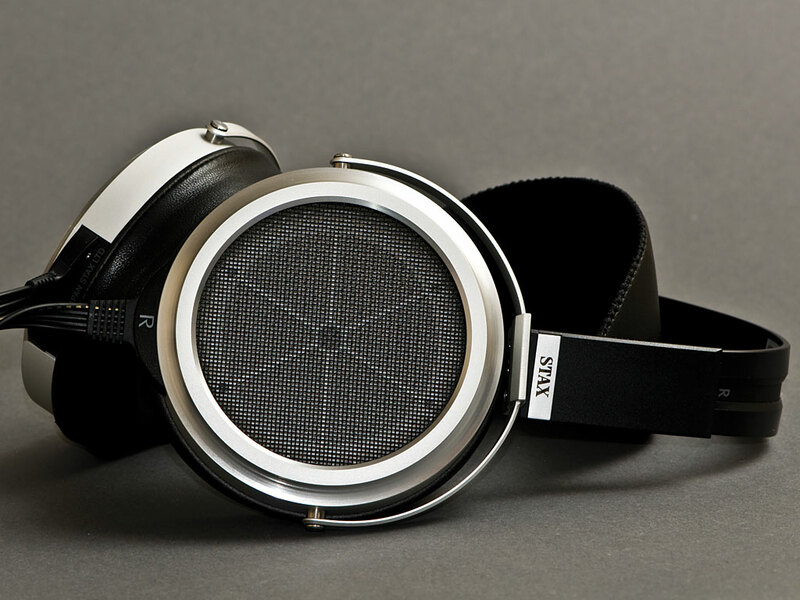 Unlike the Abyss, which has its magnet structures on the inner sides of the drivers (closer to the ears), the HE-560's magnets are on the outer sides of its drivers. HiFiMAN claims the single-ended magnetic driver provides superior soundstage and spatial imaging, and I certainly won't argue the fact that the HE-560 excels in that regard. At 90dB/mW, the HE-560 is reasonably sensitive, and substantially more sensitive than the HiFiMAN HE-6 (83dB/mW). This ability to get flagship HiFiMAN sound, but with far more flexibility as far as amp selection goes, has been very much appreciated. I tend to be able to plug the HE-560 into just about any good to great amp, and get outstanding results. In terms of its performance, the HE-560, to my ears, possesses many of the qualities typically attributed to excellent electrostatic sound--in other words, it sounds fast. In terms of overall resolving power, I've strained my memory to recall something I've heard that could challenge the HE-560 in the sub-$1000 price range, and I simply can't. The HiFiMAN HE-560's presentation is like an airy, spacious projection, in contrast to my Audeze headphones that tend to favor solidity and body at the expense of some air. I think this will be one of the differentiating characteristics that someone forced to make a choice between, say, a HiFiMAN HE-560 and an Audeze LCD-X (independent of price) might pivot on. The HE-560 conveys bass impact well, and there's no doubt it has very deep bass extension, and tremendous bass precision. This is one area, however, that I think some might wish for more impact. That is, the HE-560 can hit deep, and hit low, but it doesn't tend to hit with the impact and peels of bass thunder that the Audeze's can. Of course, depending on tastes, this is certain to be viewed by some as favorable to the HE-560. When it comes to headphones, perceived neutrality--what's heard as neutral--varies pretty widely from person to person. Even with that in mind, I feel comfortable saying that, overall, the HE-560's tonal balance is neutral-ish, but with a touch of energy in the upper mids and treble region that can shade the HE-560's overall tone just into the cool side of neutral. Overall, Dr. Bian coaxed from his the HE-560 the ability to convey the bleeding edge of detail without crossing into harshness or stridence. HiFiMAN's HE-560 is a reference-level headphone, through and through. How good is it? I personally think the HE-560 is in the top-tier of headphones you can currently buy, at any price. Only you don't have to pay any price to get it--just $899. First it was the AKG K7XX (which was the same as AKG's 65th anniversary edition of the AKG K702) that took an AKG headphone I found too lean and gave it more meat. The Massdrop/AKG K7XX is, in my opinion, one of the strongest headphone performance/price values of the past year. Now AKG and Massdrop have done it yet again--taken an AKG model I liked, gave it more meat, and turned it into something I love. I'm talking about AKG's new K553 Pro, which Massdrop has now dropped at least a couple of times for only $120 (when I've seen it at other dealers for $199)! I've long been a fan of K553's predecessor AKG K550, for being a closed headphone with the airiness of a good open-back headphone. The K550 was more on the bass-light side, and had crisp, clear, flat mids. The K550's treble was, to my ears, on the livelier-than-neutral side--"more potent than smooth" is how I'd once described its treble. Somehow it all came together to make a headphone that I've enjoyed for years, but, admittedly, have had many occasions to want more from. The AKG K553 is AKG's outstanding answer for those who, like me, wanted more. The AKG K553 is essentially the K550 changed in all the ways I wanted it changed. Bass-light? Not anymore. AKG filled the bass in, but kept it taut and detailed. Would it satisfy a basshead? Perhaps not, but, to my ears, it's now neutral-plus down there, instead of the K550's neutral-minus. The mids are a wee bit smoothed, too, but still detailed, still airy. In the treble region, AKG smoothed it out some, and I'm glad they did. Those who thought the K550's treble was perfect might find the K553's treble lost too much sparkle--I am definitely not one of them. I think the the changes from the K550 to the K553 represent a much-needed refinement that took a headphone I really liked (K550) into a headphone I love, even at its $199 retail price, and even more at the $120 Massdrop price. It was rather cloak-and-dagger when OPPO's Vice President of Product Development Jason Liao approached my table at 2013 CanJam @ RMAF to quietly tell me that OPPO--a company best known for its high-performance, high-value digital universal disc (Blu-ray/DVD/DVD-A/CD/SACD) players (and also for its smartphones in other parts of the world)--was going to be making a headphone. I told him I'd be interested in hearing it when it was ready, at which point he looked around carefully, saw nobody was looking, and pulled a black cloth bag from his backpack, and put a prototype of the OPPO PM-1 planar magnetic headphone on my table. Straight away, I was impressed with its build quality, especially for a prototype. Brushed metal, chrome, and super-supple leather were all that my hands touched when handling the PM-1. Jason then gave me the go-ahead to listen, and I knew they were off to a good start. Fast forward several months, and news of the PM-1 had already spread like wildfire throughout the audio world. They had worked with beta testers from our community to iterate until they were satisfied, and the PM-1 was officially launched, just as the anticipation (and perhaps the impatience) for them was building to fever pitch. Though I had heard a few different beta units leading up to the release--and made a physical design suggestion that ended up being incorporated in late beta and production--I wasn't formally providing feedback as part of the beta test team. Because I was not on the beta test team, I didn't hear the final voicing until it was done, so I was just as anxious and eager as everyone else. Before we get to the OPPO PM-1's sound, I want to first discuss some of its other qualities that make the OPPO PM-1 a very unique offering in this market. In the boutique planar magnetic headphone market, I think the PM-1 is perhaps the most polished, in terms of the consistency and level of its fit-and-finish, the quality of its fittings, and ergonomic design. The PM-1 was designed and packaged with a duality in mind: in one role, it is a $1099 super-polished, super-fancy, full-size planar magnetic headphone for use at home or at work, delivered in an almost mirror-polished wood-veneered presentation box that looks fit to store a crown. For this role, the PM-1 comes with a three-meter, cloth-sheathed OCC (Ohno Continuous Cast) cable, terminated in 3.5mm (1/4") stereo plug. And, again, I can't overstate the PM-1's build quality and feel, which ranks it among the best in this regard I've ever handled, regardless of price. However, there is another role that it just as convincingly takes on--the headphone for on-the-go use. The build quality of the PM-1 isn't just beautiful to look at and feel, it's also built very ruggedly, so I've had no hesitation stuffing it into a crowded messenger bag or backpack. To help with that, OPPO designed the PM-1 to fold perfectly flat--a quality I'd love to see in more headphones. OPPO also included an effective, well-designed, very cool slim carrying case that is made of black selvedge denim. And to really drive home its on-the-go role is the included super-thin, lightweight, super-flexible, tangle-resistant OFC (oxygen-free copper) cable that's only one-meter long. Some might want a longer on-the-go cable, but I like my cables as short as possible--or, maybe better put, not a centimeter longer than absolutely necessary--so I really like this cable and actually use it even more than the fancier one. Of course, none of this would matter if OPPO didn't do its homework on the technology and engineering for the planar magnetic sonic engine of the PM-1, and to design their driver, OPPO enlisted the help of Igor Levitsky, who most famously worked on ribbon driver speaker designs for Bohlender-Graebener Radia (BG Radia). The driver they developed uses a FEM-optimized magnet system (FEM standing for "finite element modeling"), with emphasis on maximizing sensitivity and uniformity of the applied force over the driver's surface area. The PM-1's diagphragm is a thin, seven-layer design, constructed to be stable under thermal stress and vibration. The flat aluminum traces on the diaphragm are in the form of spiraling coils, and cover both sides of the diaphragm for increased sensitivity--and there was a high priority placed on maximizing the PM-1's sensitivity. In fact, at 102dB / 1mW, it may be the most sensitive planar magnetic headphone I'm aware of, able to be driven by a smartphone if need be (further helping with its on-the-go prowess). To further set the PM-1 apart from the field, OPPO voiced it rather uniquely, moving away from some of its competitors' tendencies toward incisive, mega-resolving voicings, and instead going with what is, to my ears, perhaps the best safe-sounding headphone currently on the market. The PM-1's bass is just about where I would want it to be with any headphone--punchy and detailed, and, for my tastes, not overemphasized. The PM-1's midrange is smooth and full-bodied; but even-handed and resolving enough for me to feel like I'm getting a full helping, without a sense of mid-bloat. The treble is where OPPO played it safest, opting for what sounds to me like a velvety, rolled smoothness, and doing very little to risk any appearance of harshness up top. There's energy up there, but it's milder than most of its competitors. If you tend to prefer even a hint of lift in treble--or even just something akin to perfect treble neutrality--you may be disappointed, but I really enjoy how they tuned it here so much of the time. The OPPO PM-1 seems to be nearly impossible to coax a harsh note out of, yet, overall, I find it to be detailed enough most of the time. If something like the very resolving HiFiMAN HE-6 can occasionally put the harsh stuff into too sharp a focus, the OPPO PM-1 can occasionally make for smoother, prettier closeups, and does so by perhaps sacrificing a little exactness in comparison. Again, a lot of the time I actually love this about the PM-1. I don't always want safe sounding, but so much of the music I listen to is far from ideal (as far as recording or mastering quality goes), and so can benefit a great deal from a touch of mercy. Don't be mistaken, though, in thinking the PM-1 unable to convey the magic and detail of great recordings, because it does, exceptionally well--it's just that it will generally fall short of the ultimate resolution of several of its high-end competitors by the likes of Sennheiser, HiFiMAN, Audeze, which might be exactly what you're looking for. So if what I've described sounds like it's up your alley (it certainly is up mine), then give the OPPO PM-1 serious consideration. You should also give it a serious look if you're been looking for a high-end, high-fidelity, full-size headphone to take with you on your travels.--I have yet to find a high-end full-size headphone that travels better (let alone one that's planar magnetic). The secret's completely out of the bag now: the PM-1 is a remarkable first headphone from OPPO. OPPO may be best known for their high-end universal digital disc players, their players still regarded as among the very best values in the AV world. However, if OPPO keeps up what they've been doing in the headphone world since entering it a couple of years ago, the first thing people think about when OPPO's name comes up will be headphones. Their latest headphone--the OPPO PM-3--will only drive their renown further in that direction, as it's a killer, and perhaps my strongest recommendation for an over-ear, on-the-go headphone. OPPO has managed to massage their planar magnetic driver designs from their PM-1 and PM-2 into a slightly smaller design for use in a headphone that's more compact than its full-size siblings and< closed-back (as opposed to the open-back PM-1 and PM-2). What they've also done is create a headphone that is one of the safest recommendations to make in its category, as almost everyone I let listen to it--whether complete non-audiophiles or seasoned audio snob--loves the OPPO PM-3 when they hear it. What makes it play so well for such a broad range of tastes and experience is that the PM-3 is far more resolving than what most non-audiophiles are used to, and with enough resolution for a closed headphone to impress the aficionados. The bass has enough punch to answer yes to the typical non-audiophile's most common"Does it have good bass?" question, and yet controlled down low enough to have most Head-Fi'ers satisfied at the speed to go with that punch. The PM-3's midband is also rich, smooth and revealing enough to soothe most critical audio nerd's fastidious midrange expectations, and to a degree that has audio novice's realizing that they're hearing things they hadn't heard before in their favorite songs. The treble is accurate, without grain, and on the smoother side, and likely to satisfy most--especially considering it's a closed over-ear--but may be the one area some audiophiles might long for a bit more sense of extension. Personally, I'll take smooth with good detail over even a mild dash of harshness in the high registers, so the PM-3 pleases me thoroughly at its price. As for imaging, the PM-3 casts a nice soundstage for a closed headphone--no, it doesn't sound beyond its earcups to me, but it's certainly less constricted sounding than typical closed headphones. Most importantly (where imaging is concerned, to me), the PM-3's soundstaging is coherent and precise. The OPPO PM-3 is one of the headphones I most recommend for someone on a sub-$500 budget who is hankering for his first planar magnetic headphone, and absolutely the most if that headphones is to be used when out and about, in libraries, when traveling, at coffee houses, etc. As a planar magnetic headphone, it's a bit heavier than many other portable over-ears at 320 grams, but its design distributes the weight nicely, and it feels lighter than it is to me. The OPPO PM-3 comes in black, white, red, and blue, and is priced at $399. At that price and its level of performance, the OPPO PM-3 is a dynamo of a planar magnetic headphone, and, again, one of the safest, strongest recommendations I have for you at that price, whether you're mostly using it in desktop systems, portables (including direct-from-mobile use), or both. As a Sony MDR-1R fan, I'm happy to say that Sony didn't stray too far from the sound that made it so popular. Still, Sony's engineers worked hard to update the the MDR-1A with meaningful sonic improvements, and the results were very fruitful. 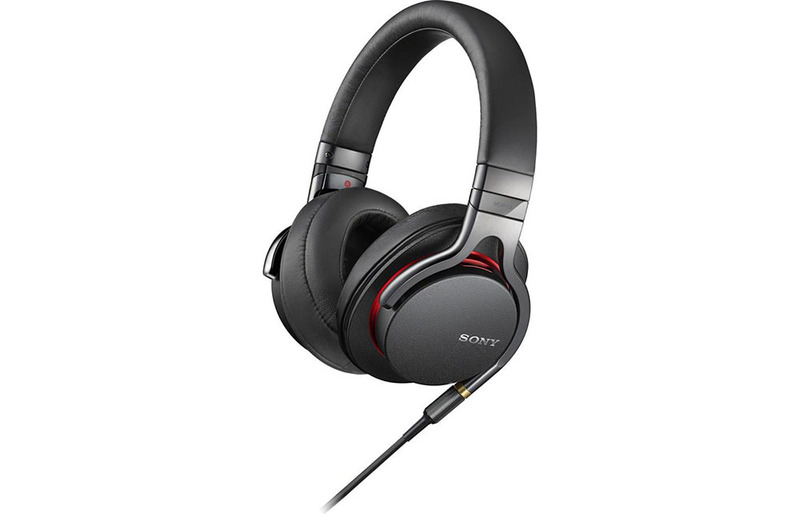 To my ears, the Sony MDR-1A sounds like it has more low-bass than the MDR-1R, so there is a richer bottom end now. Also, the MDR-1A's treble response has more shimmer--the treble seems better fleshed out on the newer model, which, to my ears, gives it a leg up on its predecessor. Like the MDR-1R before it, the MDR-1A's midrange is wonderful, presenting most vocals slightly forward, and with beautiful rendering of subtle details that some of its competitors miss. Midrange detail and focus have improved with the MDR-1A, but not quite to the extent that the treble improved. There have been changes to the earpads, too, with the newer pads being thicker, which does change the feel a bit. I think the older ones (on the MDR-1R) are a wee bit more comfortable, but the MDR-1A remains one of the most comfortable closed headphones currently available. I think the sonic adjustments made with the MDR-1A will play very well in showroom auditions, so I have a feeling I'll continue to see more and more Sony MDR-1A's in the wild in the coming years. I was happy with the MDR-1R as it was, but certainly welcome the progress Sony has achieved with this model update. The V-MODA M-100--V-MODA's current flagship--was one of the most anticipated product launches we've seen in the Head-Fi community in quite some time. Part of what made the M-100 so anticipated is how it came to be, uniquely developed alongside online audiophiles, musicians, editors--a true collaborative effort. At its core, though, the M-100 was a passion project for V-MODA founder Val Kolton. He'd been working on it for a long while before he revealed the project publicly; and then for about a year after that, he started gathering feedback from his musician and editor friends, and then welcomed opinions from the Head-Fi community, including sonic critiques from Head-Fi members. In 2011, Kolton and I met twice to discuss the M-100, once in Chicago, and then again at Head-Fi HQ in Michigan. The purpose of the visit to my office was to look at his hinge design (which ended up evolving into something stronger and more refined by the time it made production), as well as evaluating a bunch of earpad variations that looked so much alike they had to be numbered for identification (yet they sounded quite different from one prototype pair to the next). There was no sleep at that latter meeting, as there was a lot to cover--we even had a couple of video conferences with his engineers overseas. Then there was a limited public unveiling (and auditions) of M-100 prototypes at CES 2012, and a few more get-togethers about the M-100 last year. Strengthening the community-developed nature of the M-100, a very limited run of specially packaged first-run M-100's was sold exclusively to Head-Fi community members who signed up for it. After all that, what was the result? Let's start with that hinge: As a professional DJ who knows how rough headphones can be treated on the road, Kolton wanted to make sure that any hinge he developed wouldn't be a point of weakness. And the hinge that evolved into the production version feels exceedingly strong. A lot of attention even went into the detents that *click* to confirm full-open and full-closed positions--this hinge feels positively Swiss-like in its precision. The M-100 is a tough headphone that can survive 70+ drops on concrete from a height of six feet; survive environmental tests including high and low temperatures, humidity, salt spray, and ultraviolet light exposure; with a headband that can bend flat 10 times, and a cable that can survive 1,000,000+ bends. And, yes, these are actual tests V-MODA performs. Also Swiss-like in its precision is the quality control the drivers are subjected to, each matched to tight tolerances at six different frequency bands, as one of Kolton's hot buttons is, without a doubt, driver matching. Even more attention and anxiety was paid to the sound signature. With every V-MODA headphone ever made (in-ear or over-ear), there's bass emphasis, depending on the model, to varying degrees. The V-MODA Crossfade M-80 (also in this guide) was the first headphone from V-MODA that was designed for audiophiles (or "Modiophiles"--modern audiophiles--as Kolton calls them). The M-100 is the second, and the flagship. Still there is bass emphasis, but in a manner that smartly leaves the mids relatively unruffled. The M-100's mids are detailed, if not just somewhat subdued with its framing between the prominent bass on the one side, and the soaring treble on the other. Imaging is surprisingly spacious for a closed headphone whose drivers don't appear to me to be at all canted at an angle, like we see on so many headphones today. The M-100's passive isolation is good enough for most of my on-the-go needs. For an on-the-go headphone, its sound (not to mention its durability) make it virtually perfect. If you've a tendency to prefer some bass emphasis and very detailed treble, this might very well be the closed, over-ear reference headphone you've been looking for. For me, the M-100 has become one of my top passive on-the-go headphones of choice, for both its sound and durability. Sennheiser's now-discontinued, limited edition electrostatic HE-90 Orpheus had been my personal choice for best sounding headphone for so long that I assumed it would remain in that spot permanently. However, Stax's flagship now wears my personal best-ever crown. In Episode 008 of Head-Fi TV, I called the Stax SR-009 my choice for best sounding headphone I've yet heard, and nothing has changed my mind about that since. The Stax SR-009 is the most revealing, most captivating, most neutral, most outstanding transducer of any type I've yet heard. With this headphone, you really will hear things, textures, air, details you hadn't previously heard in many of your favorite recordings. The SR-009 is simply sublime. A masterpiece. Here's the rub, though: If you want to extract the very best from this headphone, plan on spending approximately $5000 to $6000 more for a top-flight electrostatic headphone amplifier, like the HeadAmp Blue Hawaii SE, Woo Audio WES or Ray Samuels Audio A-10. Could it really be worth all that? This is Head-Fi. So, yes, for some people, it's absolutely worth all that. 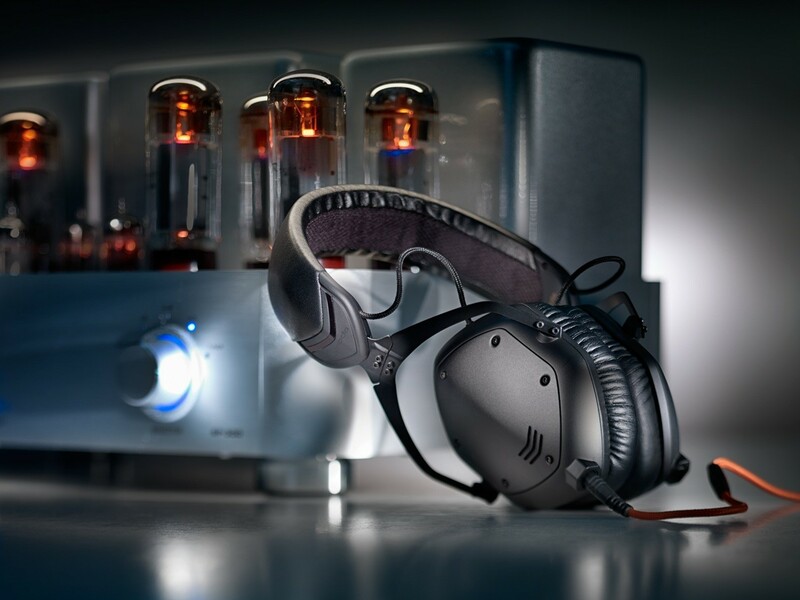 Since it was first unveiled at CanJam @ RMAF 2015, the LCD-4 has undergone some changes. After some early production unit issues, Audeze made changes to the very thin diaphragm and its conductive traces on the LCD-4 to improve reliability. The effects of these changes resulted in an increase in nominal impedance from 100 ohms to 200 ohms (and a reduction in sensitivity)--but also resulting in a light, faster, more reliable diaphragm. Still, the LCD-4, though improved in sound and reliability, retains the character and sonic traits of the early-unit LCD-4's, and that's a good thing. We've heard both versions, and the first time was superb, the revision even better. The Audeze LCD-4 is their first new flagship headphone since 2011's LCD-3 launch. 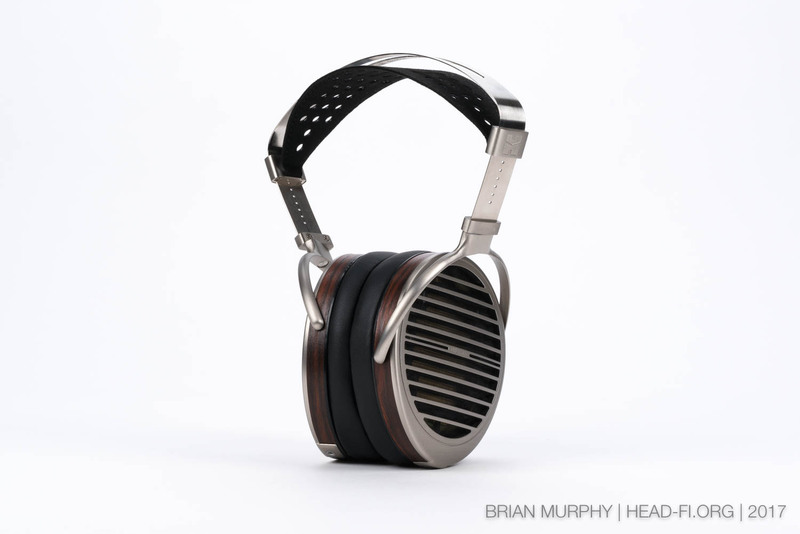 I view their headphones since the LCD-3 as mild departures (sometimes more than mild) from the original LCD sound--models like the LCD-X, LCD-XC, and even some of their legacy models after they had been updated with Audeze's Fazor technology. To my ears, the LCD-4 marked somewhat of a return to Audeze's origins--only with very noticeable improvements in resolution. After a lot of dedicated research & development and advancements in materials science, Audeze moved to sub-micron-thin diaphragms, officially moving Audeze's diaphragm technology to true nanoscale level. Now while they've achieved a thinner diaphragm than they had ever used before, Audeze still substantially increased the power of their magnet array, moving to a Double Fluxor magnet array rated at 1.5 Tesla, which I'm pretty sure that makes it the most powerful magnetic flux density in a planar magnetic headphone today. So in the LCD-4 we have ultra-thin diaphragms combined with immensely powerful magnet arrays. Lower mass to move...more powerful magnets. Does the LCD-4 sound fast? Yes, very fast. To my ears, the LCD-4's transient response is outstanding, and probably the standard in this respect among non-electrostats. If not for the LCD-4's weight (which I'll get to in a minute), I might forget I'm not listening to a high-end electrostatic system. Improving upon the likes of the LCD-3 or the LCD-X is no mean feat, and substantial improvements come even harder--but they've unquestionably done it. Again, it had been four years between Audeze flagships, and you can hear those years of work in the LCD-4. The resolution and body of the LCD-4's midrange is perhaps what stands out most to me, and places its midrange performance among the very best of the current-production headphones I've heard to date. As for tonal balance, the Audeze LCD-4 is richer than the more neutral, flatter-sounding Audeze LCD-X--more akin in this regard to the LCD-3, but with more tautness, more control than the LCD-3 down low (which, considering the LCD-3's bass performance, is quite a statement). Treble extension and smoothness compares with the LCD-3, only the LCD-4 is unquestionably more exacting up top. To be clear, though, the LCD-4's treble doesn't sound tipped-up to me relative to my LCD-3, just more precise, more accurate. Relative to all of the other Audeze headphones we have here, the LCD-4, to my ears, is simply truer to a sense of being there. I've listened to several Chesky Records albums that I was actually in the acoustic for during the recordings, and the LCD-4 is extraordinarily capable of delivering much of what brings me back to a sense of actually being in the acoustic with the performers--in terms of the imaging, and the tonal & timbral richness--at a level only a handful of other headphones have been able to do for me. In addition to improved sonic performance, the LCD-4 has a new suspension-type headband that incorporates a wide leather comfort strap, and a very nice, very trick carbon fiber band that reminds me of something that was lifted from a Formula One car. Improvements to the headband are certainly welcome, and necessary--the LCD-4 is even heavier than the LCD-XC, which itself was too heavy for me. 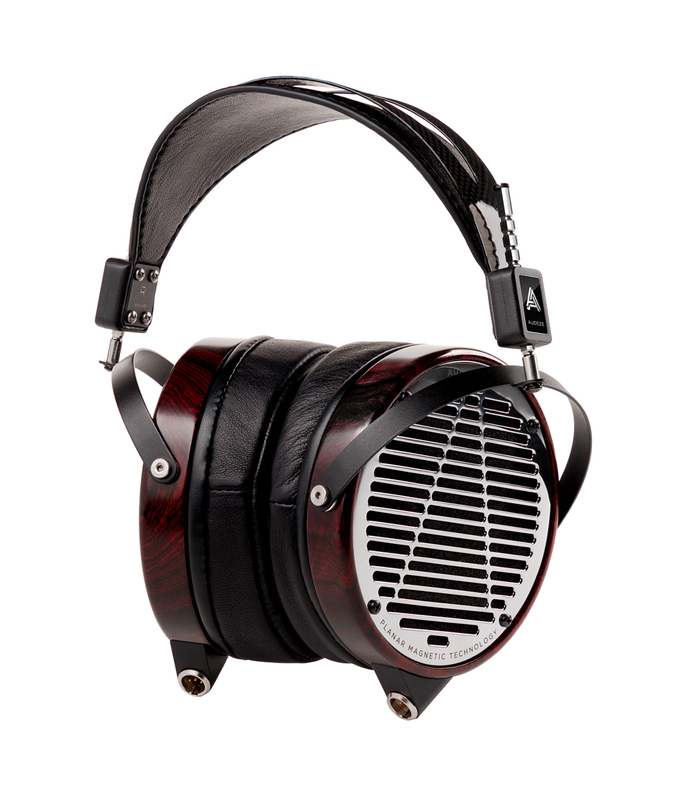 If the LCD-4 had the old-style Audeze headband, I don't think I'd be able to wear it for more than 15 minutes at a time. With the new headband, I can go for perhaps an hour or so, but then I do start feeling the weight. The Audeze LCD-4 is, in my opinion, the best sounding Audeze headphone to date, and one of the best sounding headphones currently available at any price. I think, though, that it's time for Audeze to consider what its competitors are doing on the high end--making lighter weight headphones that are getting better and better, often priced substantially less than the LCD-4's price. Headphones like the HiFiMAN HE-1000, the Focal Utopia, Sennheiser HD 800S, Stax SR-L700, MrSpeakers ETHER and ETHER C Flow, and others--all headphones that are competitors in terms of performance, and yet are lighter and more comfortable to wear. The Audeze LCD-4 is sold on a build-to-order basis, and is priced at $3995. Take many different types of sulfur-smoked silver foil pieces, and adhere them--in a manner similar to a torn-paper collage--to a black lacquered base over a precisely shaped Japanese cherry birch wood form. Finish it with an overcoat of rich Bordeaux-wine-colored paint, until the finish looks deep, glossy, liquid. Finally, using platinum leaf, meticulously apply the emblem of the manufacturer of this exquisite thing. Am I describing the creation of something destined for the display cabinets of the Imperial House of Japan? Maybe if the Emperor of Japan is a headphone audio enthusiast. No, what I'm describing is how the traditional, painstaking art of Japanese urushi lacquer is used in the adornment of an earcup of a flagship headphone. When Fostex decided to craft a flagship high-end dynamic headphone, they wanted it to be impeccable in every way, offering high-end sound quality (of course), and to do so with extraordinary beauty and comfort. Their TH900 headphone was the result, and it is indeed a stunner. Not surprisingly, it wasn't long before the high-end connoisseurs of Head-Fi were abuzz about it, and deservedly so. The TH900 is one of the easiest headphones to fall in love with. Of course, there's that love-at-first-sight thing. From a purely aesthetic standpoint, the TH900 is, in my opinion, one of the most beautiful headphones ever created. I've not seen a photo yet that fully conveys the deep beauty of the TH900's urushi-lacquered earcups (nor have I been able to capture it with my own photos, but not for lack of trying). Then there's the love-at-first-wear thing. The TH900 is extremely comfortable--there are few headphones I'd be willing to wear for longer durations than I do the TH900. A closed headphone, the TH900's earpads are made of an advanced synthetic leather derived from eggshell membrane. The result is a material that has the suppleness of the very soft leather. Fostex wouldn't do all of this without first having sonic performance worthy of it. And in this, its sound, the TH900 is just as accomplished as it is with its style and comfort. Very revealing, rich bass, relatively neutral elsewhere, never fatiguing. The TH900 sounds velvety and organic, without ever sounding overly smoothed. I have headphones that are more technically capable in one aspect or another, some that are more neutral, and some that are ultimately more revealing, but few headphones can convey as much as the TH900 does without tiring me at all. It is an eminently easy, yet involving, headphone to listen to. After having spent over a year with the Fostex TH900 now, it has become perhaps my favorite headphone overall, plying its brilliance not with just one or two rigs precisely crafted for it, but in so many good systems you plug it into. 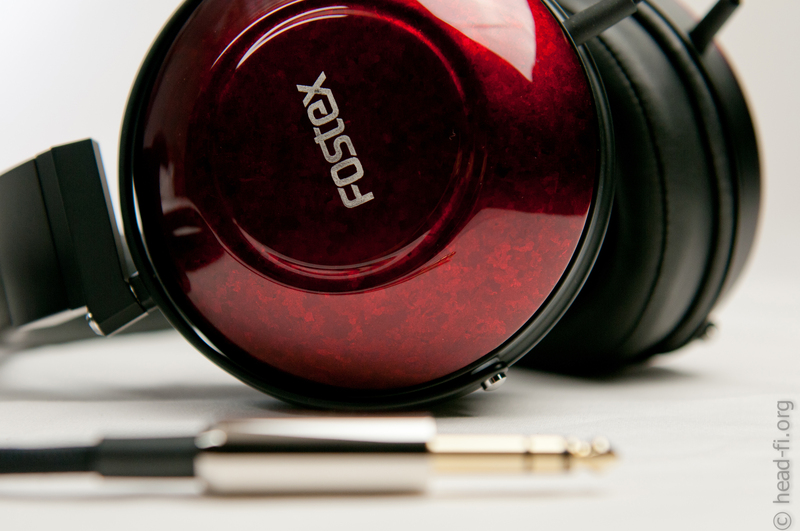 In every way, the Fostex TH900 is simply beautiful, and a wonderfully executed flagship by Fostex. The flagship category of headphones is one that causes significant levels of excitement within Head-Fi as for many, the flagship headphone is the centerpiece of their audio system and the one that arguably has the most influence in the chain. We’ve been fortunate over the past few years to have seen the release of several world class flagship headphones - the Sennheiser HD800/S, Focal Utopia, Audeze LCD 3/4, JPS Labs AB-1266 Abyss, HiFiMAN HE-1000V1/2 among several others. All of these headphones have pushed the envelope as far as what is possible to achieve with a headphone audio system. But perhaps the one flagship headphone that has an unmistakable aura of mystique and notoriety about it is the HiFiMAN HE-6. Whether due to its inefficiency and serious amplification requirements, the various DIY modifications that unlocked even more performance, or that fact that this was a headphone that many were powering from a speaker amplifier, the HE-6 remains a true flagship headphone that was affordable in comparison with most flagship headphones released over the past few years. And while HiFiMAN’s HE1000 and subsequent V2 headphones surpassed the original HE-6 in some key areas of the sonic pallette, many HiFiMAN fans were clamoring for a true successor to the HE-6. Enter the HiFiMAN Susvara. Originally coined the Edition 6, the HiFiMAN Susvara was released in 2017 and marketed as the true successor to the legendary HE-6. The Susvara achieved its own initial notoriety by its price tag. With an MSRP of $6000 in the US, it is among the most expensive production headphones in the world and a significant step up in price compared to it’s own HE-1000/V2 ($3000) and the Focal Utopia ($4000). The headphone audio world has seen increasing levels of pricing amongst its flagship products and while this is a source of concern to some, for others this is indicative of increasing levels of performance and achievable levels of sound quality that simply did not exist in headphones a few short years ago. And while we can debate the merits of spending a certain amount of money on our gear, the concept of value for money is a very subjective one. And one that each of us will have to decide for ourselves. With that said, does the Susvara deliver the sonic goods? You bet it does. The system used for reviewing the Susvara is the Sonore Micro-Rendu/Uptone Audio LPS-1 running Roon Server into a Chord Hugo 2 DAC and DNA Stratus 2A3 headphone amplifier. The Stratus has been one of my favorite headphone amplifiers with the HE-6 and drives the Susvara in a very similar manner. Simply put, I can listen to the Susvara all day long without fatigue but with the engagement and impactful sound that I loved about the HE-6 and some of the early prototypes of the HE-1000. The Susvara sound can be characterized as an amalgamation of the the HE-6 and HE-1000 with the the tactility and bass slam of the former and the resolution and sense of space of the latter. HiFiMAN has improved the comfort and ergonomics of its headphones and the Susvara follows a similar design aesthetic that started with the HE1000 and it’s “Window Shade” system that is designed to reduce sound reflection to enhance the soundstage. The Susvara is both smaller and lighter on the head in comparison with the HE1000 and the round shape makes it more comfortable for me than the HE1000. If I had to use one word to describe the sound of the Susvara, it would be natural. And while it may not have some of the immediate thrill and excitement of the Utopia or the sheer visceral slam of the AB-1266, it just sounds so balanced, so real, and so right. The HiFiMAN Susvara is a statement product and a true flagship headphone. And I suspect for many, the Susvara will be their flagship headphone of choice. One of the all-time headphone hi-fi classics, the Sennheiser HD 25-1 II is still the top choice for a closed, portable on-the-ear headphone for many Head-Fi'ers. It's one of my all-time favorites in that category. With robust bass, relatively neutral mids, and a lively treble, the HD 25-1 II is definitely on the fun side of the audiophile-type sound signatures. With an extremely tough build (yet still lightweight), the Sennheiser HD 25-1 II remains a popular DJ headphone for its bombproof durability, outstanding isolation, and retro-hip utilitarian looks. Let's get this out of the way right now: Sennheiser's HD 26 Pro is not replacing the legendary HD 25 in the Sennheiser lineup. Despite some similarities, the HD 26 Pro is a new addition to the Sennheiser HD family, and, as far as I'm concerned, it's a very welcome one. In the treble, where the HD 25-1 II can tend toward a bit of etch to me, the HD 26 Pro is smoother. Its bass is likewise less peaky sounding to me than the HD 25-1 II's. The overall sound of the HD 26 Pro suggests a kinship with the HD 25-1 II, but, to me, more along the lines of a cousin than a sibling--the less forward cousin who went to finishing school. The HD 26 Pro is an eminently listenable, resolving professional monitor, and has become one of my primary closed on-the-go over-ear headphones. In terms of styling, the HD 26 Pro certainly shares some similarities with the HD 25-1 II--its industrial design is unmistakably influenced by its legendary relative. I think some will find its styling perhaps too utilitarian, but I dig its all-business bearing. 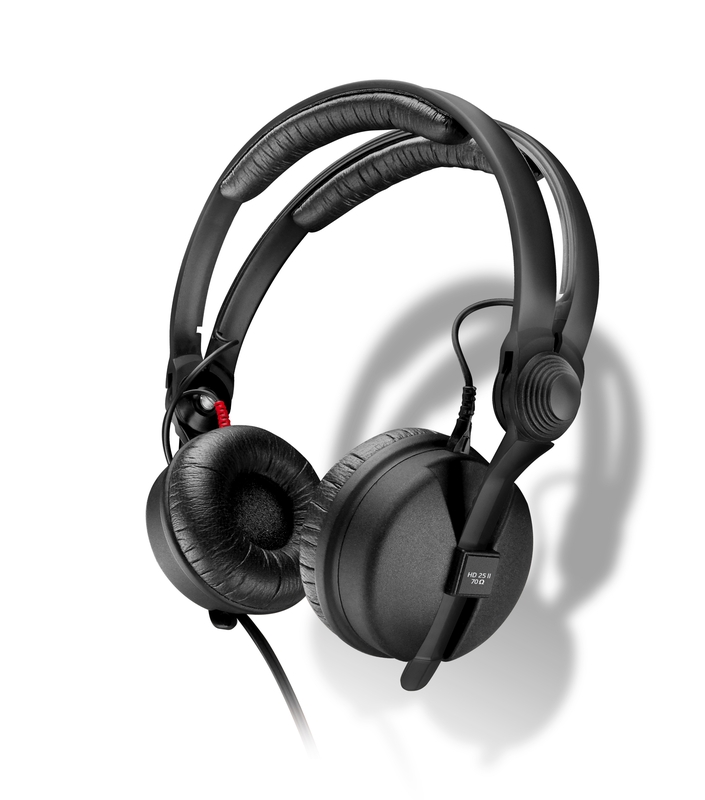 One of the most distinguishable characteristics of the HD 25-1 II's design is its split headband. Building on that, the HD 26 Pro's headband is also split, but it separates with a click automatically when you open up the headphone to put it on, and then snaps closed when you take it off—very, very cool. I also find the HD 26 Pro to be substantially more comfortable than its older relative. The plush ear pads (filled with what feels to me like memory foam) are much more pillow-like than the HD 25's. The HD 26's design also distributes its clamping force much more comfortably on my head than the HD 25's. These updates mean I can wear the HD 26 for substantially longer than I can its renowned relative. There's no doubt some will still prefer the more aggressive sounding, more classically styled HD 25-1 II to the HD 26 Pro, but, for its sound and comfort, my preferences lean toward the newer model.